What is an Alford Plea in Florida? A Fort Lauderdale man was recently sentenced for his role in a theft scheme that involved breaking the windows of cars and stealing the goods inside, before running off with the valuables. According to internet news media platform Topix – Fort Lauderdale, the man worked with accomplices in the smash-and-grab scam, focusing on gym parking lots. Members of the crime ring would target the vehicles of individuals who were going into the facility to work out. In one incident, the man and two women made off with several credit cards, a wedding ring valued at $7,000, and over $2,000 in cash. The Florida man entered an Alford plea to felony larceny charges, as well as counts involving conspiracy to commit a felony and credit card theft; the judge sentenced him to 38 years in prison. The story highlights the criminal law concept of an Alford plea in Florida and the procedural impact of these types of cases. The plea got its name from a 1970 US Supreme Court case, North Carolina v. Alford, where the defendant was allowed to enter a guilty plea while still maintaining innocence. Essentially, an Alford plea recognizes that the prosecution has the evidence to support a conviction, but the defendant does not admit guilt. The application of the Alford Doctrine depends upon the jurisdiction, because not all states allow a defendant to enter this type of plea: Indiana, Michigan, and New Jersey do not accept an Alford plea. In addition, courts of the US military do not allow defendants to make use of the Alford Doctrine. The Supreme Court of Florida spoke on Alford pleas in the 1991 case of The Florida Bar v. Cohen. The justices held that an Alford plea is conclusive proof of guilt of the criminal offense with which the defendant has been charged. In order to take advantage of the Alford Doctrine, the plea must be a voluntary act by the defendant and factual evidence must support the case. To ensure that the Alford plea is voluntary and not coerced, a Florida court may conduct a hearing or engage in other efforts to determine the free will of the defendant. 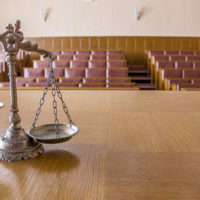 A judge may question the accused about the case and about his or her choice, as well as inquire the prosecutor about the case against the defendant. Under certain circumstances, it may make sense to enter an Alford plea when you’ve been charged with different offenses in Florida. However, the impact of this strategy has severe consequences because it amounts to a guilty plea and the harsh sentences that are associated with a conviction. An Alford plea may be an option for you, but only a skilled criminal defense attorney can tell you the pros and cons of taking this approach. Fort Lauderdale lawyer Kevin J. Kulik has worked with many clients, defending them and assisting them with entering a plea that will ensure the best possible outcome under the law. Please contact our office today for a confidential consultation.